Last week, former Minnesota Wild forward Thomas Vanek had the final year of his three-year contract bought out by the Wild. It appears that one team's loss is another team's game. According to the Larry Brooks of the New York Post, the Rangers might be interested in adding the slow-footed Vanek to their lineup. Larry Brooks, New York Post --- The Rangers, we’re told, intend to touch base with Thomas Vanek and gauge his willingness to sign the type of one-year reclamation contract that Benoit Pouliot did when he joined the Blueshirts for $1.3 million in 2013-14. Pouliot used that season as a springboard to the five-year, $20 million deal he then signed the following summer with the Oilers. It would make perfect sense, too, for the Islanders to check in on Vanek, who melded beautifully with Tavares (and, uh oh, Okposo) during his 47-game lend-lease tryout with the club during 2013-14. Is Vanek Done in Minnesota? Thomas Vanek came to the Minnesota Wild as a free-agent signing period during the summer of 2014. Since signing in Minnesota, Vanek has underperformed (scoring 39 goals and 93 points) and been the center of a lot of criticism. Some of the criticism was warranted, some not. Some of it was downright rude. Needless to say, Wild fans weren't happy with his two-year performance. That being said, Vanek wasn't pleased with his performance either. In April, he told the Twin Cities media, "I'm not happy with my year, but I still believe I'm a 30 goal scorer." You have to credit Vanek, he's a very honest person. Yes, there were a lot of fans and bloggers chuckling about that comment. For a second year in a row Vanek was hurt at the end of the season. This season, Vanek had broken ribs and was unable to play during the Stanley Cup Playoffs. According to NBC's Pro Hockey Talk, Vanek's time in Minnesota could be over. Rumblings have Minnesota considering a Thomas Vanek buyout. Vanek, 32, is heading into the last of a three-year, $19.5 million deal with a $6.5M cap hit, and is owed $7.5 million in salary. He’s coming off a disappointing year in which he scored a career-low 18 goals. As a Wild apologist, I would rather see the Wild buyout a few other players first. I am looking at Jason Pominville, first. Question: are you on the buyout Vanek wagon? Do you want him to return and play out his contract? I am on the fence. First, I want to be clear, I think Minnesota Wild forward Thomas Vanek is a good hockey player that's having a tough season. Hoever, this is a stupid penalty that cost the Wild a goal. There's no reason for Vanek to hit Chicago Blackhawks forward Marcus Kruger in the numbers like that. Kruger doesn't even have the puck. For his efforts, Vanek received a five-minute major for boarding. I wouldn't be shocked if Vanek has a hearing with the NHL's Department of Player Safety. 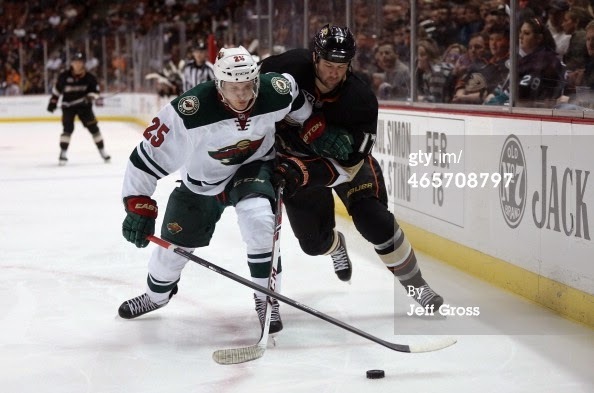 Check out this move by Wild Forward Thomas Vanek. Interesting... 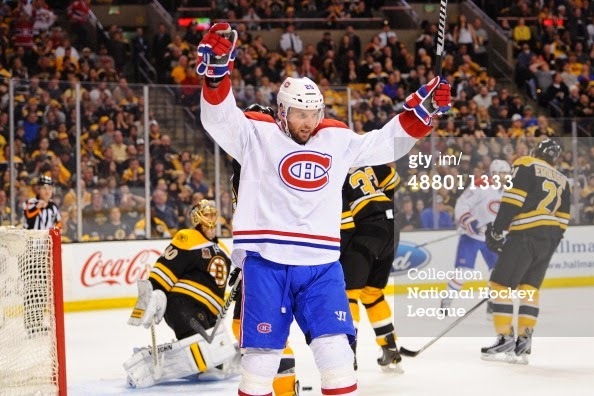 It appears that Thomas Vanek spent over 1 million dollars on football betting. Michael Russo, Star Tribune --- While the National Hockey League said Friday it will continue to keep an eye on a federal illegal gambling and money laundering case in Rochester, N.Y., that Thomas Vanek has testified in as the government’s prime witness, the Wild forward likely won’t face league discipline unless he faces criminal charges or bet on hockey. Vanek bet on football and was paying off a gambling debt, according to Bartlett. Vanek’s in the news again because a defense attorney for a man who pleaded guilty to illegal gambling and conspiracy to launder money Thursday alluded to the fact that the check his client helped launder came from Vanek while he played for the New York Islanders. With most training camps about to begin, I thought it would be appropriate to preview each division in the NHL. I will highlight a little about each team in the division, highlight key players on their teams, and how I think each team will end up come April. Lets start off by giving praise to the surprise division champs of last season, the Colorado Avalanche. Forward Matt Duchene was plagued with injury last season, and was not much help in the playoffs because of this. He now is at 100% and ready to lead this team into another division title battle. This, however, will be done without the liking of Paul Stastny due to him moving on to St. Louis this upcoming season. This young team lead by Patrick Roy behind the bench will be a tough match up for anyone in the NHL and are once again a threat to win the division once again. However, one question I have on my mind, is will Nathan MacKinnon have the sophomore slump, or will he shine like his amazing rookie season? 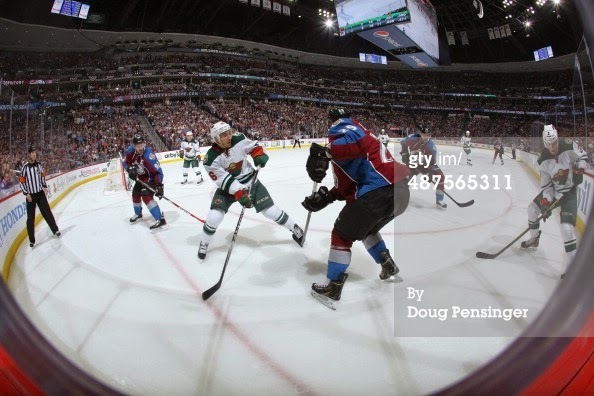 The Avalanche open up the season October 9th in Minnesota against their heated division rival. and TJ Oshie, the team is looking for a rebound after a terrible end to last season. The goalie situation is also solidified as well with the net belonging to Brian Elliot. St. Louis did bring in Ryan Miller for the stretch run last season, but didn't turn out too well for them. This is one of the deepest teams on paper in the entire NHL with the likes of Jaden Schwartz, Vladimir Tarasenko, Alexander Steen, among many others and will post a legit threat to a division crown, if not a Stanley Cup crown. 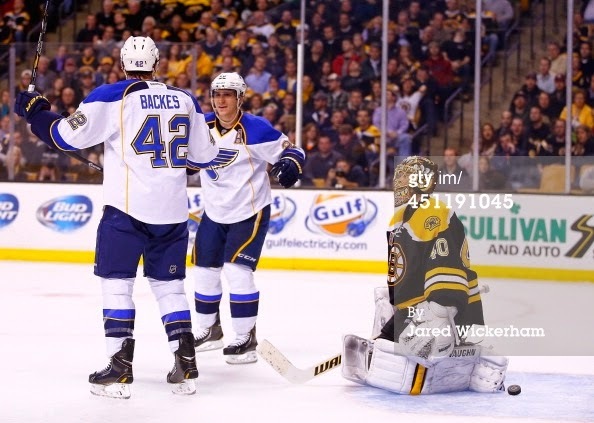 The Blues open up the season October 9th at home against the New York Rangers. Finishing third in the standings last season, the Chicago Blackhawks are looking to make their way back to the Stanley Cup Final for the third time in the last five years. As if this team couldn't find any more offensive depth, the Blackhawks went out to sign Brad Richards during free agency. However, he is a wild card. Will he play to his full potential, or will he be the inconsistent player the New York Rangers had seen the past couple seasons? One constant will be that no matter which line is on the ice, there always will be a threat to score. Whether it is Jonathan Toews, Patrick Kane, Patrick Sharp, Marian Hossa, Andrew Shaw, I think you get the point, there are 20 players on that bench who can step up and score when called upon. That is what makes this team one of the most dangerous teams in the entire NHL. 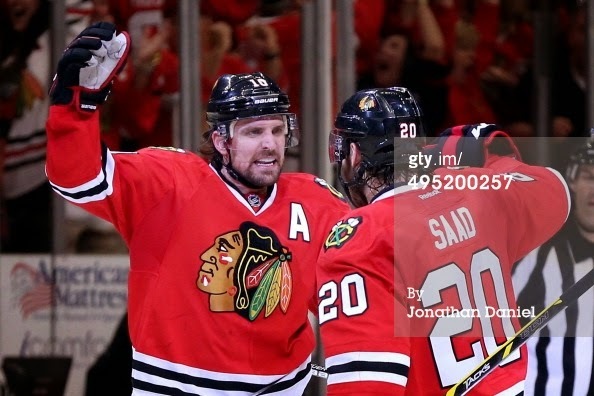 The Blackhawks open up the season by heading to Dallas to play the Stars on October 9th. Darcy Kuemper, who still remains as an unsigned RFA, who proved that he is NHL ready to be a number one goalie. Where does he stand? If a deal is done, does he start in Iowa, or trade one of our other goalies to give him a spot with the big club? Things in Minnesota are going to be very exciting this season, but only if that goalie question mark gets solved, and fast. 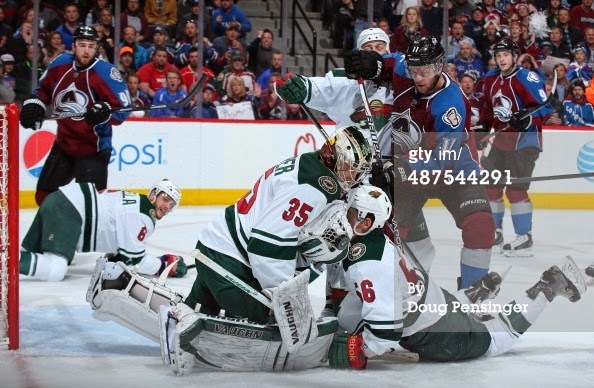 The Wild open up at home October 9th against the Colorado Avalanche. competitive they will be in the division, or the NHL, but I will say the Stars shouldn't be a team the league overlooks. This is a team that may once again sneak into the playoffs, and possibly play spoiler to someone's playoff hopes and dreams come April. The Stars open up at home against the Chicago Blackhawks on October 9th. Weber's next Ryan Suter like prodigy? Another thing looking good for Nashville is the addition of James Neal. While in Pittsburgh, Neal sat back to the likes of Crosby, Letang, and Malkin, but will he be the number one offensive threat in Nashville? I say yes. Playing with key veterans like Mike Fischer, Derek Roy, Mike Ribeiro, and Matt Cullen, he has the potential to find the net a lot this season. Finally, they also have a healthy Pekka Rinne. One of the top goalies in the league will likely be a strong backbone to this up and coming Nashville roster, and they will need him if they want to contend for a playoff spot come March and April. 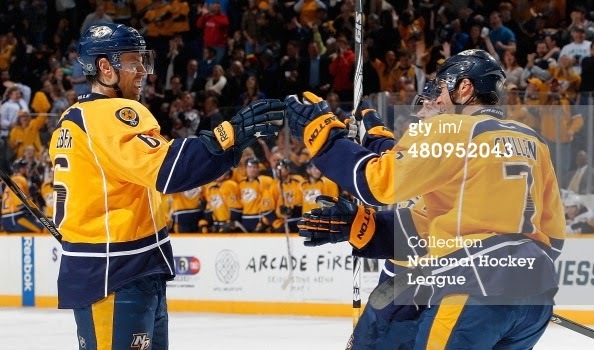 Nashville opens up the season on October 9th as well at home against the Ottawa Senators. Last, but not least, the Winnipeg Jets. Finishing off last season with 83 points, the Jets look to become a more competitive team within the division and fight for a playoff spot. This Jets roster is one that reminds me a lot of the 2002-2003 Minnesota Wild, in that they really don't have any superstar players on it, but have the pieces to be a playoff contender if they play simple hockey and each player plays their role well. Now some may argue that Evander Kane and Blake Wheeler have that potential to break out and be that dynamic superstar that the Jets are looking for, but I don't think the pieces are there on this current roster for them to do that. I see a team that is average, to just above average at best, and fans in Winnipeg are going to be very restless when the product on the ice won't be able to keep up in the Central as well as everyone else in the division. As for will the Jets climb out of the cellar this year? No. They didn't do anything to impress me in the off season to make me think that and with this roster, I see the team being around 80 points again this season by the time it is all said and done. The Jets open up against the team formerly known as the Winnipeg Jets, the Arizona Coyotes, on October 9th. On my way home from classes this morning, I was listening to Paul Allen and Michael Russo on the Nine to Noon show on KFAN for some preseason Minnesota Wild talk. Right now it looks as if Parise is playing with Granlund and Pominville, which puts Vanek down with Koivu and Coyle. Now I know that many of us Wild rubes wanted to see Vanek with Pommer and Granny, however, according to an interview Russo did with Coach Yeo yesterday, he said that Parise playing with Granlund and Pommer was the lethal combination at practice thus far. Russo also believes that come opening night, you will see Jared Spurgeon playing along side of Ryan Suter due to his outstanding play at the end of last season and in the playoffs. I couldn't agree more, however he has a lot of proven chemistry with Marco Scandella already, so why screw that up when it already is a pretty good combination? is worthy of top line defense minutes right now. After his facial injury last season, his play really fell off and was not the dynamic defenseman pre injury. I think that his playing style should be well complementary of Scandella so I see no problem if these two start out the season together, giving Spurgeon the top line minutes he has earned. Then you also have to address the third defensive pairing. Keith Ballard was plagued with injury for much of last season, so that was a disappointment for all you Gopher fans who follow the Wild as well. Ballard is almost a shoe in right away to be playing as a defender on that third pair, but who plays with him? As of right now, it looks as if Christian Folin will be along side him to open the 2014-2015 season, but I still say don't count out the hard hitting youngster, Matt Dumba. In his games with the Wild last season, before going back to juniors, Dumba proved that he had what it took to be a solid NHL defenseman, who holds a legit scoring threat on the blue line. However, in the one game Folin was able to suit up for Minnesota last season, he recorded an assist, his first NHL point, and was a plus three against the always tough St. Louis Blues. It will be interesting to see how the third defensive pairing plays out. Could Ballard even be the odd man out? I doubt it right now, but it is an 82 game season so lets see if he stays healthy, or is a little more present on the blue line when he is playing. Transitioning back to the forwards, specifically lines three and four, you know almost for certain that Haula will be centering Nino on that line, but who will be the winger on the other side? Will it be Matt Cooke, or Jason Zucker? With Zucker being out most of last season with injury, he is a great unknown as to how he is going to preform this season, however, when he is healthy, he has shown us that he is deserving to play with the big club no matter what. I think you start Zucker on that third line with Haula and Nino and put Cooke down with Brodziak and Justin Fontaine. The Cooke-Brodziak-Fontaine was a line that had shown some chemistry last season, and sure, why not have a potential 20 plus goal scorer on the fourth line with Fontaine? With training camp starting this Friday, it should be interesting to see how the lines pan out come October 9th when the Colorado Avalanche roll into town. In what has been one of the slowest offseason that I can remember, time to start moving forward. Here's a video for Wild fans to peruse. I think the Minnesota Wild will be a lot better with Thomas Vanek in their top-six. This story just broke this afternoon. I hoping this turns out to be nothing. Russon's Rants --- WHEC-TV in Rochester, N.Y. is reporting (and has video) that recently-signed Wild winger and former Buffalo Sabre and Rochester Amerk Thomas Vanek was in federal court today in upstate New York as part of an ongoing gambling investigation. According to the station, Vanek's appearance stems from the June arrest of three owners/managers of the Marina Restaurant and Bar in Charlotte, N.Y. on gambling and money laundering charges. The three men were allegedly conducting an illegal gambling business out of the bar since January 2012 (see above links and this article). The TV station reports, "Vanek is not charged with any crime and he voluntarily came to the federal court building with his lawyer." In a statement sent to me by Vanek's agent Steve Bartlett, Vanek said, "Representatives of the U.S. Federal Government have asked for my cooperation in an investigation. I am not the subject of any investigation or prosecution. I will fully cooperate with the U.S. Federal authorities in their investigation or in any proceedings arising out of it." 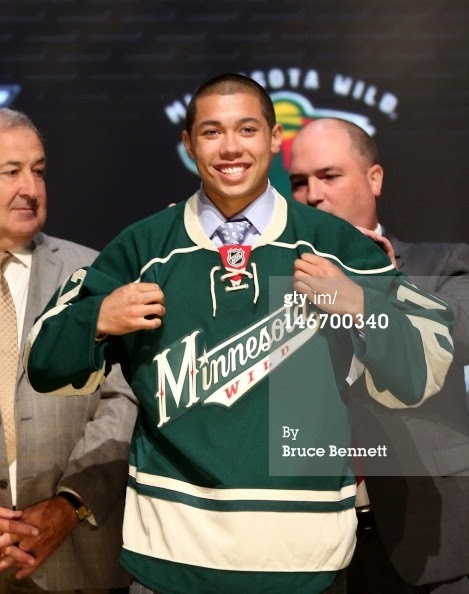 Minnesota Wild: Who's it going to be? The free agent signing period starts at 11:00 A.M. Central. It would be interesting to see what it would take to sign Jarome Iginla or Thomas Vanek. UFA's Paul Stastny and Vanek sit atop of the list of available free agents. :Michael Russo, Startribune - Thomas Vanek enjoyed his meeting with Wild coach Mike Yeo late Sunday, and the feeling was said to be mutual. But as of late Monday, it still was up in the air as to whether #VanekWatch would end Tuesday with the former Gophers star ending months of speculation by signing with his hometown NHL team. The Wild made Vanek’s short list, but agent Steve Bartlett said there were other good options on it, too, as NHL free agency opens at 11 a.m. Tuesday. The other good options likely will offer Vanek more money and more years than the Wild, which might plan to tender the left winger a short-term deal. The extra years, and thus security, could alter Vanek’s decision. In a slim free-agent class that offers a multitude of forwards with a multitude of red flags, the Wild has shown the most interest in Vanek, the Stillwater resident, and veteran goal scorer Jarome Iginla, who turns 37 Tuesday. The Wild had more conversations Monday with Iginla’s reps in hopes of selling Iginla on its program and how it’s a Stanley Cup contender. Tomorrow is one of the most exciting times of the year. Starting at 11:00 A.M. Central, the 2014 NHL free agent signing period begins. I like many other Wild fans, are excited to see who the Minnesota Wild end up signing. Will there be some former WCHA players calling Saint Paul, MN home? Looks like the Wild aren't looking for long term commitments, either. Chad Graff, Pioneer Press - Thomas Vanek, 30, is a pure scorer, the type the Wild lacked last season when they finished 24th in goals scored, netting 2.43 per game. Matt Niskanen, 27, is coming off the best season of his career, having scored 10 goals and recorded 36 assists and a team-best plus-33 rating for the Penguins. He would instantly upgrade the Wild's defense. That's what Fletcher is trying to determine in the final days before free agency begins. With Vanek and Niskanen interested in hearing the Wild's pitch, Fletcher's decision on the two free agents ultimately might be defined more by years than price. Yesterday, Michael Russo wrote more on the possibility of the Wild signing Thomas Vanek after the July 1, free agent signing period. Russo’s Rants – “I don’t think we have anything cast in stone come Wednesday or July 1.” Vanek scored five goals and 10 points in 17 games for Montreal in the playoffs. His ice time was limited at times and he was scrutinized, particularly in the conference finals against the Rangers. But Vanek has 277 goals in 663 career games and the Wild finished 24th offensively last season (199 non-shootout goals). Vanek ranks eighth in the NHL in goals scored since the start of 2005-06 and his 0.42 goals per game is tied for 11th. I am beginning to think that Vanek needs the Wild more than they need him. The Wild aren’t going to break the bank on a 30+ year old player, they got burned with the slow footed Dany Heatley. During the 2014 Stanley Cup Playoffs, the play of some of the younger players changed the landscape. I also think that Vanek’s play during the 2014 Stanley Cup Playoffs might have caused his value to drop significantly. I still would like to see him as a member of the Wild. Here's something that might be of interest from the Globe and Mail. When the Minnesota Wild picked up Matt Moulson at the trade deadline, I was really excited, but after his play during the 2014 Stanley Cup Playoffs, I won't be too upset if the Wild don't resign him. Eric Duhatschek, Globe and Mail -- Okay, let’s play Islanders general manager for a while because, hey, everybody else is doing it too right? They have huge amounts of salary-cap space, so anything is possible, as long as you’re prepared to cajole players into coming. Even the guys they’ve got signed – such as John Tavares – are on reasonable deals ($5.5-million through 2017-18 – tip of the cap to Garth Snow for that one). They also have two more years of Kyle Okposo at $2.8-million. So after Thomas Vanek played so badly in Montreal and Minnesota’s interest in him is waning, why wouldn’t the Islanders circle back to Vanek and make him an offer on July 1? Bet they could outbid anybody for his services – and they might not even have to offer that seven-year, $50-million deal that he turned down. The Islanders could sign Vanek, bid for Matt Moulson (who liked it there and might consider a return, because his options might be limited as well) and bring back them both back. Minnesota Wild: Vanek not a slam dunk now. Perusing the Web, it looks like the Wild aren't going to through a lot of money at free agents this summer. Former Minnesota Wild forward Thomas Vanek, who once looked like a slam dunk to come to Minnesota, might not be headed here after all. Mike Russo, StarTribune -- The Wild has a lot of players 28 and older, a lot of players 24 and younger. You don’t want to get too many players north of 30 on long-term deals, so there’s a specific price point I think the Wild’s willing to reach with Vanek. I don’t get the impression the Wild’s willing to sign him to a long-term deal anymore. Vanek will have good options in free agency, so is he really going to sign in Minnesota for two or three years? Hard to believe, especially after reportedly turning down a seven-year, $49 million deal with the Islanders. While that contract probably won’t be on the table with any team anymore, he certainly should still be able to get decent term of four or five years with some teams. Some fans who email me or tweet me are clamoring for Paul Stastny. He was outstanding against the Wild in the playoffs and his competitiveness and work ethic would be a perfect fit in my opinion on a Wild team who’s M.O. at a minimum in the playoffs was hard work. BUT, he will command bigtime money and term AND I still believe he’ll re-sign in Colorado once the Avs figure out a way to move some money in the next few weeks. 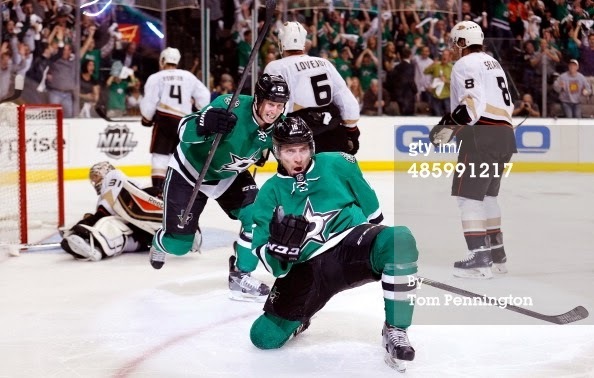 We already knew that the slow footed Dany Heatley Won't be back. With his cap hit gone, the Wild do have a few options to pursue. I am excited for the Free Agency Signing period. Should be interesting. Michael Russo, StarTribune -- Fletcher will investigate the trade market, but he doesn’t want to trade this year’s first-round pick or “kids we worked so hard to accumulate.” If he delves into free agency, there are two methods to add more offense — a scoring forward or an offensive defenseman. Maybe that means former Gopher and current Stillwater resident Thomas Vanek, Paul Stastny or Ryan Callahan or maybe that means defenseman Matt Niskanen, a Minnesotan who is only 27 and had a career-best 10 goals, 46 points and plus-33 with Pittsburgh this past season. But Fletcher says the Wild’s at a stage where it doesn’t have to chase players. There is a specific price point and term the Wild’s willing to reach. Vanek, Gaborik, or None of the Above? Well as free agency draws closer and closer, Fans across the NHL, especially in Minnesota, are wondering what their teams will do, if anything. I know the crowd wants in Minnesota, and that's former Golden Gopher Thomas Vanek to come to the State of Hockey once again. Vanek, who played on three rosters this season and ended with the Montreal Canadians, would have 68 points in the regular season and would just miss out on that 30 goal plateau, but was kept pretty quiet in the playoffs. Only acquiring five goals and five assists in the playoffs, and a not so good -4, so that makes me wonder if Vanek will be worth the payday if he can't compete in the playoffs. Don't get me wrong, he will be a great addition to any team he ends up on, but I think it is too much for the Wild to invest in one player right now. Now another face Minnesotans are used to seeing, Marian Gaborik. I have also heard some fans that they wouldn't mind seeing him back in a Minnesota uniform, but I'm sure it is due to the success he is finding in the playoffs this year. What fans fail to realize is that he spent most of the regular season injured and would only score 11 goals during his time he was able to play. His playoff goal scoring touch has reminded us on how a healthy Gaborik is quick and a dynamic goal scorer in the NHL. I have a feeling LA will be keeping him around for a little bit. Now what Minnesota fans want the Wild to do is pretty obvious. They want Chuck Fletcher to make a push for Vanek. However, what some fans need to realize is that our young core of players is one of the best in the league and are deserving of a better payday. With the contracts of Niederreiter and Kuemper up, RFAs, Minnesota would be stupid to not sign them to a long term deal. One can't forget about Haula, Granlund, or Coyle either. If Minnesota were smart, they would pass on a blockbuster signing this summer and give their young guns the payday that they deserve. I know Minnesota fans got a taste of a deeper playoff run and want success now, but sign these guys, and I know I may be stating the obvious here, but we could have success for many years to come.